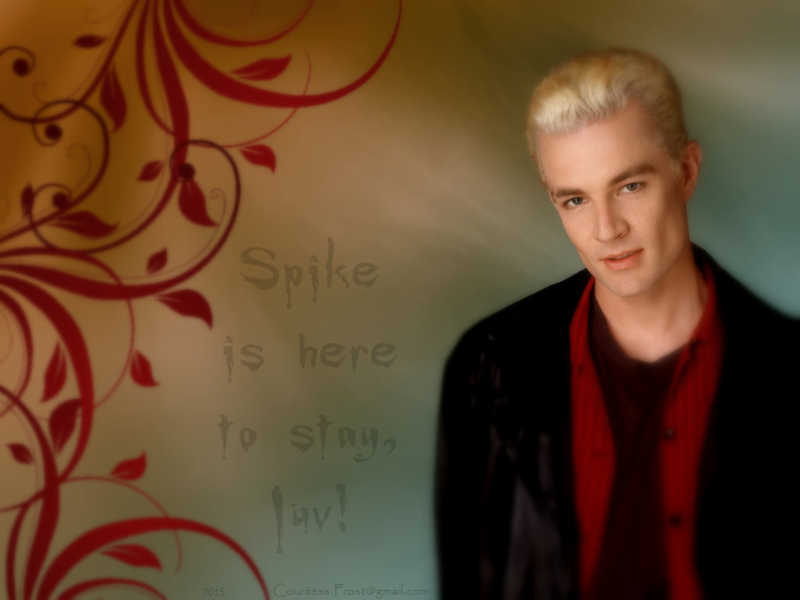 Spike is here to stay, luv!. "Spike is here to stay, luv!" karatasi la kupamba ukuta created kwa TheCountess features James Marsters as Spike from the TV series 'Buffy the Vampire Slayer'. 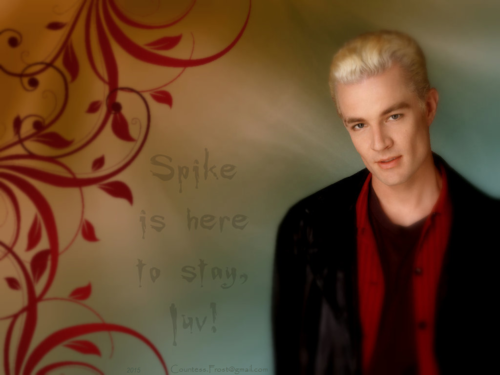 HD Wallpaper and background images in the Buffy the Vampire Slayer club tagged: spike vampire james marsters btvs buffy the vampire slayer tv series fan art wallpaper thecountess. This Buffy the Vampire Slayer wallpaper contains wamevaa vizuri mtu, suti, suruali nyayo, pantsuit, mtu wamevaa vizuri, suti ya suruali, picha, headshot, and closeup.